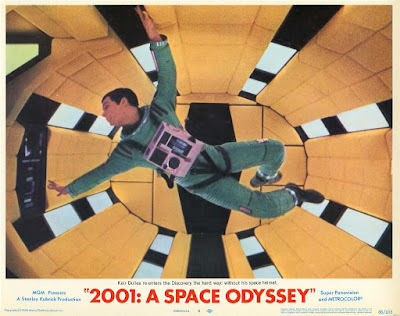 The first time I saw 2001: A Space Odyssey I was, in retrospect, too young to appreciate it. I remember being wowed by the visuals but bored by the story. I saw it again years later and was rather more impressed. Now having seen it once again after the lapse of even more years I can finally see it as a masterpiece. Arthur C. Clarke was in the mid-60s one of the three biggest names in science fiction. 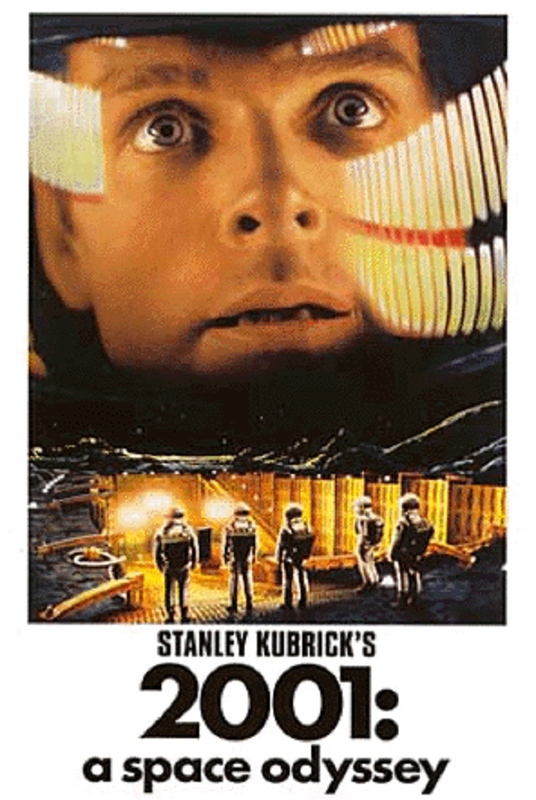 He did not merely co-write the screenplay - the film was very much a collaboration between Clarke and Stanley Kubrick, to the point where it’s often difficult to know where Clarke’s vision stops and Kubrick’s begins. Clarke was an atheist and very hostile to religion but oddly enough his fiction often had a certain quasi-religious element to it. The atheist conception of a universe that is random and purposeless is in fact explicitly rejected by this movie. In this movie humanity has a destiny. Whether this destiny is part of God’s plan or whether it is part of the plan of hyper-intelligent aliens doesn’t really matter. For all practical purposes hyper-intelligent aliens might as well be gods. The central theme of the movie is human evolution, but evolution guided by outside forces. These forces, unimaginably advanced aliens, first intervene in mankind’s story four million years ago. Our distant ape ancestors are peaceful vegetarians until a strange black monolith teaches them to use tools, and to kill. The movie’s approach is however considerably more subtle. The famous jump cut linking prehistoric tools with space age tools is more than just a striking piece of imagery. The monolith may have unleashed human aggression but it also unleashed human inventiveness and imagination and creativity and the implication is that these qualities are all inextricably linked. Fast forward to 2001 and this brings us to the second intervention, with the monolith being discovered on the Moon. It has been left there for four million years, until such time that humans display their readiness for the next step in evolution by being able to find the buried object. 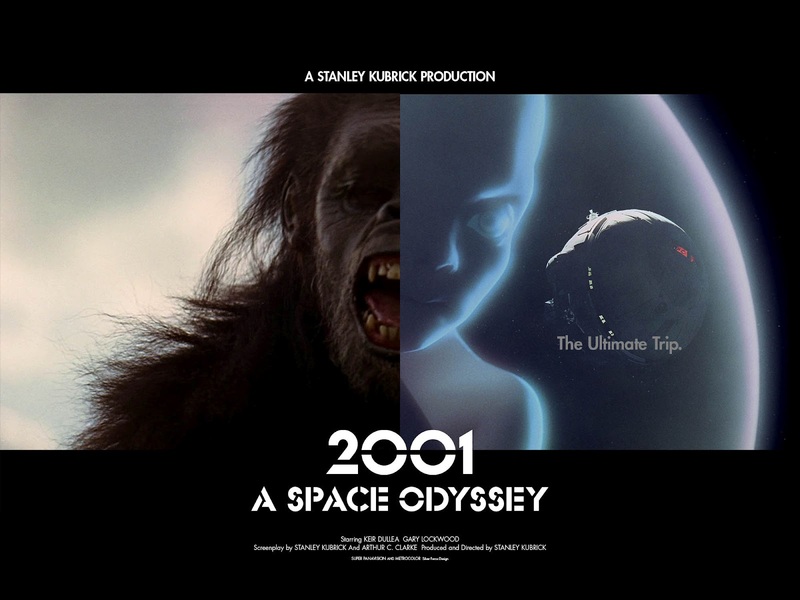 A single radio transmission points in the direction of Jupiter and eighteen months later a spaceship is on its way to that planet, with a crew of five (three in suspended animation) plus the HAL 9000 super computer. HAL, the computer that has become such an iconic feature of the movie, really is one of the central characters. Whether HAL really does have emotions and consciousness, or whether he has simply been programmed to mimic those qualities, remains uncertain (at one point we hear the astronauts discuss that very question with an interviewer from Earth). It doesn’t really matter - whichever is true the end result is a computer that behaves as if it has emotions and consciousness, which for all practical purposes may actually amount to the same thing. HAL is one of the reasons that this is a movie that can only be fully appreciated after multiple viewings. On your first viewing you will undoubtedly look at the HAL sub-plot from the point of view of the human astronauts. On subsequent viewings you may (as I did) start to look at these events from HAL’s point of view, in which case his actions become much more comprehensible. 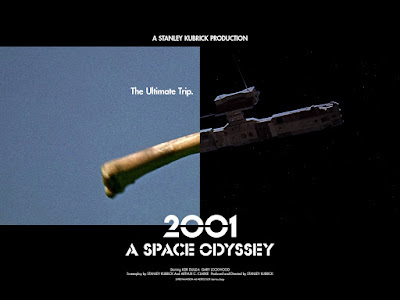 What’s interesting is that the astronauts have been so carefully selected and so thoroughly trained to maintain an absolute discipline over their emotions that they come across as less human than HAL (which is why the deliberate underplaying of Gary Lockwood and Keir Dullea which is off-putting at first comes to make perfect sense). If HAL has achieved consciousness and the ability to experience emotion then these are very recent developments and he has not had the time or opportunity to learn how to deal with these things. He is in some ways a super-intelligent child. One of the emotions that HAL has developed is anxiety. There’s a crucial scene in which HAL expresses his anxieties about the mission to Dave. Dave assumes that HAL’s questions are simply part of a routine test of the psychological well-being of the human crew and fails to realise that HAL may in fact be expressing actual anxieties of his own. HAL also shows signs of acquiring another human characteristic - a sense of self-preservation. Anxiety and insecurity can of course lead to paranoia, and HAL certainly starts to exhibit paranoid tendencies. What’s really intriguing is that while Dave and Frank are becoming concerned that HAL might be a threat to them HAL is simultaneously becoming concerned that the human astronauts might be a threat to him. The famous scene in which Dave decides he must de-activate HAL’s higher mental functions achieves a real poignancy. We’re obviously disposed to be on Dave’s side but we do really feel HAL’s fear. The HAL sub-plot is not a mere plot device introduced to add danger to the Jupiter mission. The subject of the evolution of machine intelligence (to the point where it might well become artificial life) is one of the movie’s major themes, dovetailing nicely with the other main theme of human evolution. This is an insanely ambitious movie. There had been big-budget sci-fi movies before this (Fritz Lang’s Metropolis and Woman in the Moon were very big productions indeed in the 1920s) and there had been intelligent thoughtful sci-fi movies as well. 2001: A Space Odyssey aims not only to be an intelligent sci-fi epic it also does something more - it creates a whole new aesthetic for sci-fi films. It looks radically different from every previous sci-fi movie and every sci-fi movie made since has been to some degree influenced by this aesthetic. It also aims at a level of realism never previously approached in a movie. All the technology in the film not only looks like it would really work but is, within the limitations of what was known in the mid-60s, entirely plausible. The fact that we don’t have giant space stations that rotate in order to achieve artificial gravity doesn’t mean that the idea was implausible. If we failed to achieve the future predicted by this movie that is due to our loss of confidence in ourselves rather than any failing on the movie’s part. Those who don’t like the film often complain about its length and its slowness. Personally I think the leisurely pacing works and many of the slower scenes actually tell you a great deal about the world of the film - and it is a fully realised world. It’s also been criticised for being pretentious and obscure. I actually think the plot is fairly straightforward, although the first time you see it you can be distracted by the visuals and misled into thinking it’s obscure when it isn’t. 2001: A Space Odyssey may have been immensely influential aesthetically but it was less influential as far as content is concerned. For a while it did look as though it might be the precursor of a run of intelligent provocative science fiction movies, movies like Planet of the Apes (1968), Colossus: The Forbin Project (1970) and Westworld (1973), but that run soon dried up. This was perhaps inevitable. Big-budget science fiction movies are an enormous risk for a studio. They’re an even bigger risk if they’re long on ideas and short on action. Shoot ’em ups in outer space were to be the future of movie science fiction. 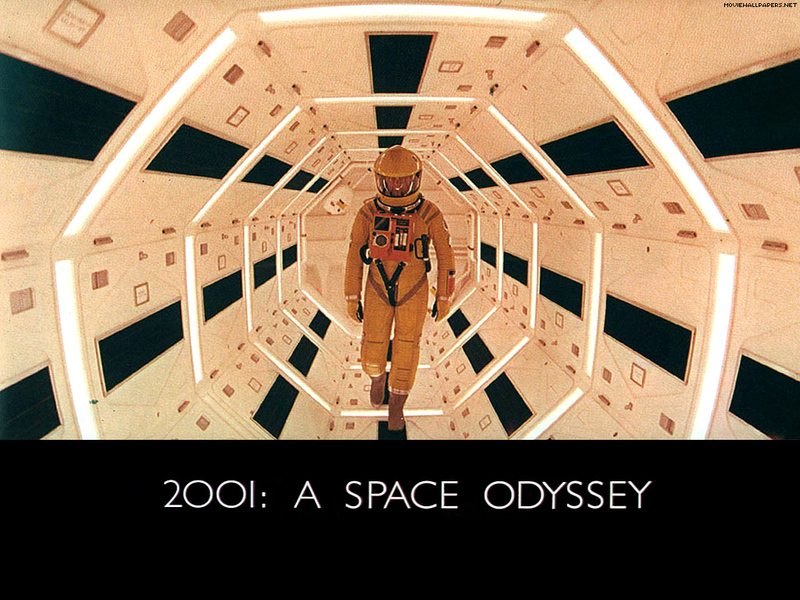 2001: A Space Odyssey still stands up as one of the great science fiction movies. Very highly recommended.